Following, the initial banner flight, popular sports radio hosts Mike Golic and Mike Greenberg from ESPN’s Mike&Mike asked their fans, “If you could (fly a banner) for your team what would it say? Use #SkyBanner. 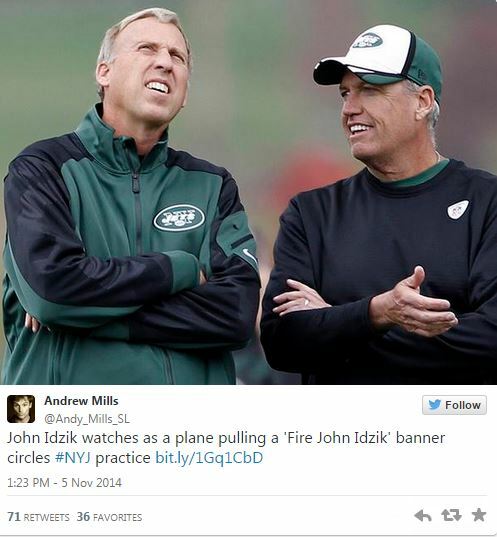 We know what you are probably thinking - and no, we were not responsible for the flight of the "Fire John Idzik" aerial banner. It was a provider out of New Jersey that worked specifically with an anonymous group of “frustrated” fans. And then, things got worse for John Idzik. Just a few hours following the Jets' second victory of the season against the Pittsburgh Steelers, a new message was put up by fans -- this time on a digital billboard. 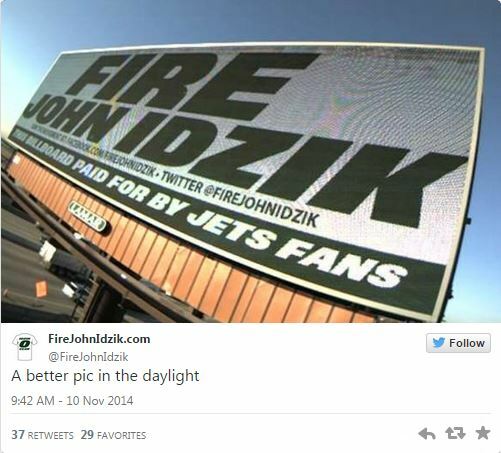 Two 'Fire John Idzik' billboards appeared outside of MetLife stadium just a few hours after the game. FireJohnIdzik.com, a fan website that appeared just a few weeks ago, raised over $10,000 to buy these billboards and they're showing no signs of stopping their agenda any time soon. First aerial banners, now billboards. What's next? This spectacle brings up an interesting debate. Should fans be allowed to fly these types of banners over stadiums? Is it appropriate to put up billboards like this one? We would love to hear from you. Comment below! Want more information about Van Wagner Aerial Media or our aerial advertising capabilities? Contact us today or click below for a free quote!